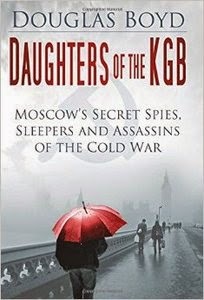 Douglas Boyd, "Daughters of the KGB: Moscow's Secret Spies, Sleepers and Assassins of the Cold War"
HomeEbooks downloadDouglas Boyd, "Daughters of the KGB: Moscow's Secret Spies, Sleepers and Assassins of the Cold War"
espionage in the West, to conceal the real case officers in Moscow. including assassination of émigrés and other anti-Soviet figures. KGB and its ghastly brood of ‘daughters’ – a true family from hell. B.J. Daniels – Hotshot P.I.